Which Over-the-Counter Allergy Medication Is Best? You need to blow your nose continuously, your eyes itch and your head feels like it might explode. On top of all these annoyances, the thought of choosing from among the glut of over-the-counter (OTC) allergy remedies is stressful, too. Here are some pointers to clear up your confusion and your allergy symptoms. Active Ingredients: diphenhydramine, chlorpheniramine, loratadine, cetirizine. Common Brand Names: Benadryl, Chlor-Trimeton, Claritin, Zyrtec. Generic brands are available for each. How They Work: Antihistamines relieve runny noses, sneezing, itching, and watery eyes. These medications work against histamines, chemicals released by the immune system in reaction to substances such as pollen or dust, which attach to cells and irritate them. In other words, antihistamines work by blocking the action of histamine, a substance in the body that causes allergic symptoms. Typical Dosage: Many antihistamines come in pill and liquid form, as well as in nasal sprays and eye drops. As a pill, Benadryl is taken 25 to 50 mg at a time, three or four times a day; 4 mg of Chlor-Trimeton can be taken up to six times a day. Claritin and Zyrtec are taken once daily, usually 10 mg at a time. Antihistamines can reduce symptoms by as much as 80%, according to the Asthma and Allergy Foundation of America. Important Information: Benadryl and Chlor-Trimeton cause drowsiness, which may increase with alcohol consumption. Claritin and Zyrtec in the past were prescription-only, but now they are both available OTC and do not cause drowsiness. If you are also taking sleeping medication, muscle relaxants or high blood pressure medicine, or if you have glaucoma, asthma, a stomach ulcer or difficulty urinating, make sure to speak with your physician before taking antihistamines. Another antihistamine, NasalCrom (cromolyn sodium), differs from the others in that it curtails the release of histamine. NasalCrom is available as either a nasal spray or eye drops. NasalCrom prevents swelling but doesn't reduce it. So this medication should be taken when symptoms are first noticed. The nasal spray can be used four times a day. Common Brand Names: Sudafed, Sudafed PE, Afrin nose spray. These drugs are available in generics. How They Work: Decongestants help you breathe better by constricting nasal blood vessels, which reduces swollen tissue. Typical Dosage: You can take up to eight 30-mg Sudafed tablets in 24 hours, or as many as six 10-mg Sudafed PE. You should take them with a full glass of water, with or without food. Afrin can be used twice a day. Important Information: In 2006, the US Food and Drug Administration ordered that OTC pseudoephedrine is kept behind the counter to monitor its sales because pseudoephedrine is also used to make the illegal drug methamphetamine. You must speak with the pharmacist before buying it to register your purchase. It could be worth the extra effort, though. A 2007 study published in the British Journal of Clinical Pharmacology stated that pseudoephedrine works better than its substitute phenylephrine (found in Sudafed PE), and restricting its sale has been ineffective in curtailing its use in methamphetamine production. Talk to your physician before taking antihistamines if you're also taking monoamine oxidase inhibitors (MAOIs), insulin, stimulants, or medications for seizures, blood pressure, or asthma. 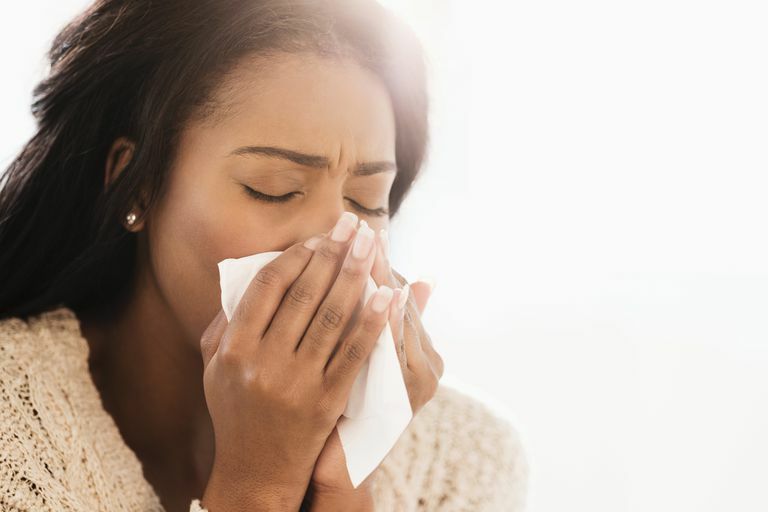 A rebound effect with worse symptoms may occur after using nasal decongestants, such as Afrin, any longer than three or four days in a row. Many OTC remedies, such as Zyrtec-D (cetirizine-pseudoephedrine), combine antihistamines and decongestants, often with pain relievers, as in the acetaminophen product, Tylenol Allergy Multi-Symptom (acetaminophen/diphenhydramine and phenylephrine). If you experience skin-related allergy symptoms, you can try to treat it with OTC corticosteroid creams. "Allergies." ils.nlm.nih.gov. 15 Feb. 2007. National Institutes of Health. "Allergy Medication." lvh.org. 29 Dec. 2008. Lehigh Valley Health Network. "Antihistamines: Understanding Your OTC Options." familydoctor.org. Oct. 2006. American Academy of Family Physicians. "Decongestants: OTC Relief for Congestion." familydoctor.org. Dec. 2006. American Academy of Family Physicians. "Diphenhydramine." myhealth.ucsd.edu. 13 Feb. 2004. University of California San Diego. Eccles, Ronald. "Substitution of Phenylephrine for Pseudoephedrine as a Nasal Decongestant. An Illogical Way to Control Methamphetamine Abuse." British Journal of Clinical Pharmacology 63 (2007): 10-4. "Legal Requirements for the Sale and Purchase of Drug Products Containing Pseudoephedrine, Ephedrine, and Phenylpropanolamine." fda.gov. 8 May 2006. U.S. Food and Drug Administration. "Over-the-Counter Medications." aafa.org. 2005. Asthma and Allergy Foundation of America. "Oxymetazoline Nasal." familydoctor.org. 13 Feb. 2004. American Academy of Family Physicians. "Tips to Remember: Asthma and Allergy Medications." aaaai.org. 2007. American Academy of Allergy, Asthma and Immunology.